There are 10 cat videos tagged with siamese. 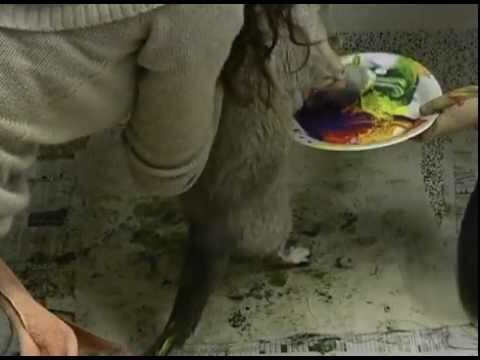 Mr. Magoo, a 9-year-old blind Siamese cat who lived at the Valley Animal Center in Fresno, CA, loved to paint. Due to his condition and the traumatic experience of being tied to a porch, he would walk around in circles. He would walk in circles on a canvas, with paint, making art as part of the shelter's "Paw-casso" program. Unfortunately, Mr. Magoo passed away in 2015 but his art lives on! 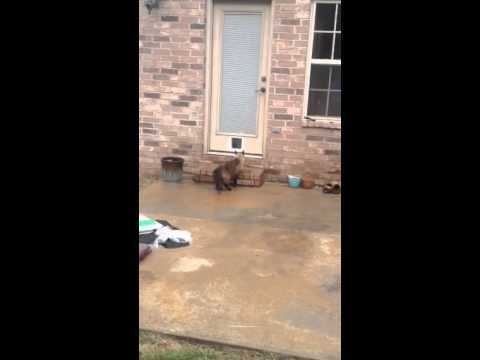 Philo the Siamese cat refuses to act like a cat and use the cat door. 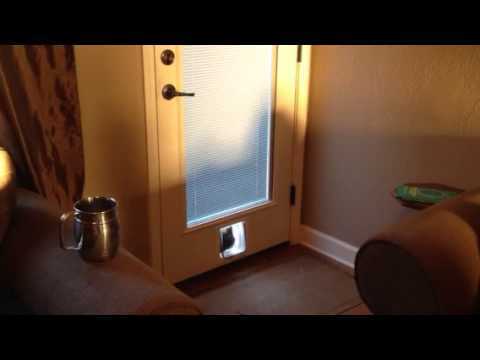 Check out his funny reaction to the newly installed cat door. 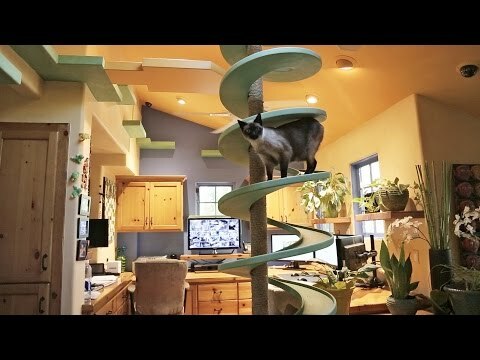 Peter Cohen has built some awesome catwalks to keep his many rescue cats occupied. In addition to the cat walks, he's built tunnels and platforms as well. At the time of this video, Peter had 15 cats, but the group has since grown to 21. 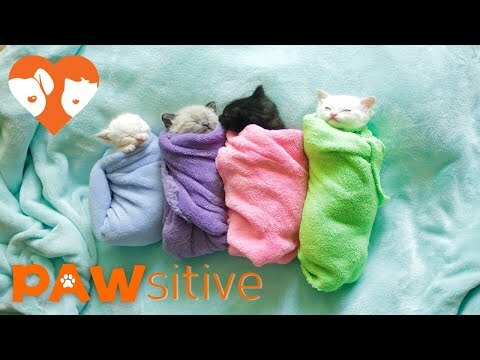 Leo, Brie and Oscar make the cutest litle purritos! The trio were found abandoned by their mother when they were just four days old. 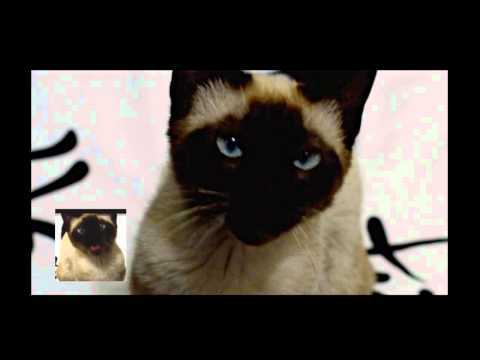 A woman has a conversation with her Siamese cat that has brilliant blue eyes. 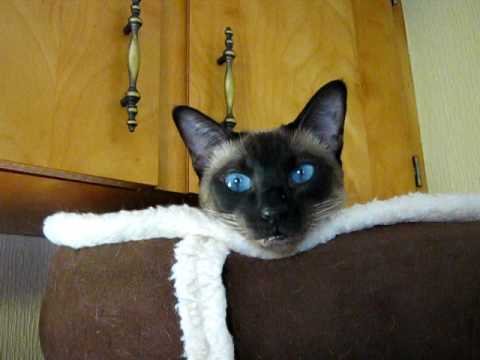 Siamese cats are known to be a very vocal breed and will let you know when they need attention. The Game of Thrones theme song sung by a cat, Arya.